This is how much the world has changed: we aren’t just talking the resurgent, enduring synthesizer. Nor are we talking about retro reissues. We aren’t even talking the return of analog control voltage. We’re uttering “Roland” and “Eurorack” in the same breath. Roland has taken the wraps off their AIRA modular plans, and they’re extensive. Make no mistake, this is still AIRA, and it’s still Roland – these are devices that look and sound like the AIRA series. That is an obvious point of differentiation for the boutique makers, the sometimes one-person manufacturers, and the uniqueness of what they produce. But we’ll have to see what the impact of Roland is on that market. What we know right now is that a big player is acknowledging the world those small makers have forged over the past couple of decades. You can use the AIRA modulars on a tabletop – you don’t even need to rack mount them. 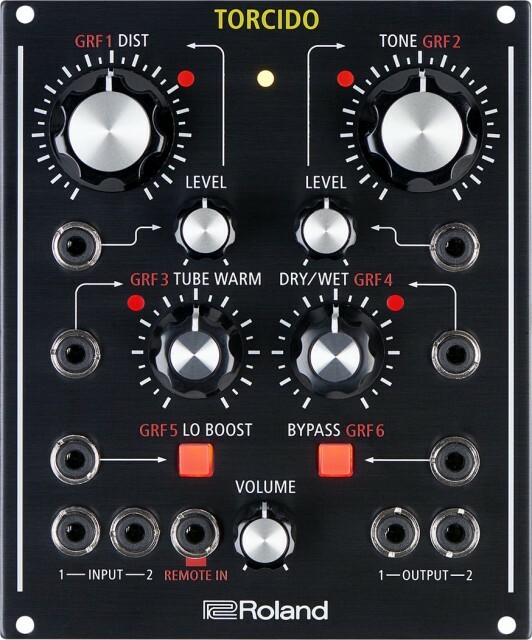 But if you do care about Eurorack, everything they’re unveiling today can be mounted in a Eurorack setup. One mass-produced product can sit next to something that was part of a run of 50 built by hand by one guy in his kitchen. Let’s look at the lineup. First, there’s the SYSTEM-1m. As I noted before, Roland has already built a modular that centered around a single, all-in-one synth – the System-100, with the Synthesizer-101 at its core. That is in fact exactly the approach Roland took here. 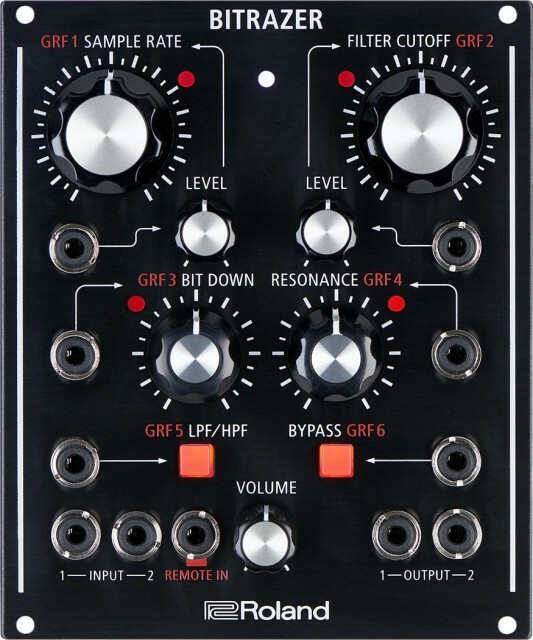 The SYSTEM-1m starts as the AIRA SYSTEM-1, so it is really a capable monosynth before you patch anything. “We’re gonna need a bigger rack.” Yes, that’s a whopping 84 HP Eurorack this will take up, but you can use Eurorack power. “Euro-what? Garsh darn it I ain’t usin’t none uh that Euuuro crap with their cappuccinos and their trams and callin’ soccer football — uh, I have no idea why that would be useful to me, sorry.” Okay, fine. No problem. Plug in standard AC power and stick this in a 19″ rack. 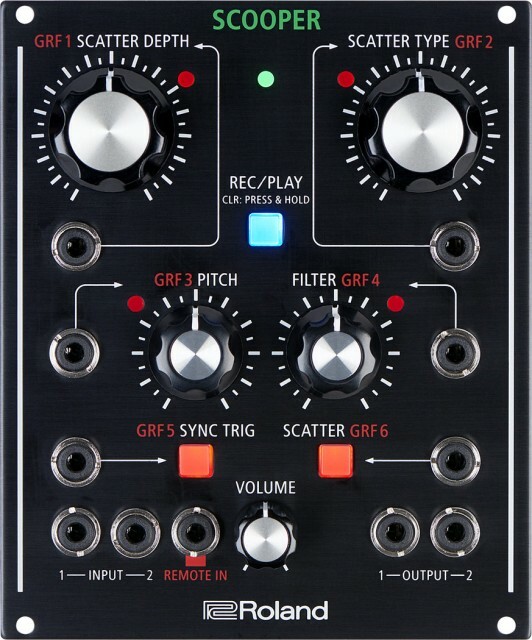 And there’s also AIRA Link for connecting this to the MX-1 performance mixer we saw at NAMM, because it wouldn’t be a Roland product if there weren’t a half dozen brand-name gizmos to talk about. But this is all interesting. The SYSTEM-1 already had a surprisingly unique synth engine inside, capable of some unruly sounds. PLUG-OUT got off to a funky start with compatibility issues, but it has slowly added other synth models like the PRO MARS or the classic SH-101. That feature of course is troll bait for digital haters who call all the new Roland stuff a plug-in with knobs. But I expect for others, it’s a big selling point. And even without that, the SYSTEM-1 was a reasonable enough synth that this is worth a look. 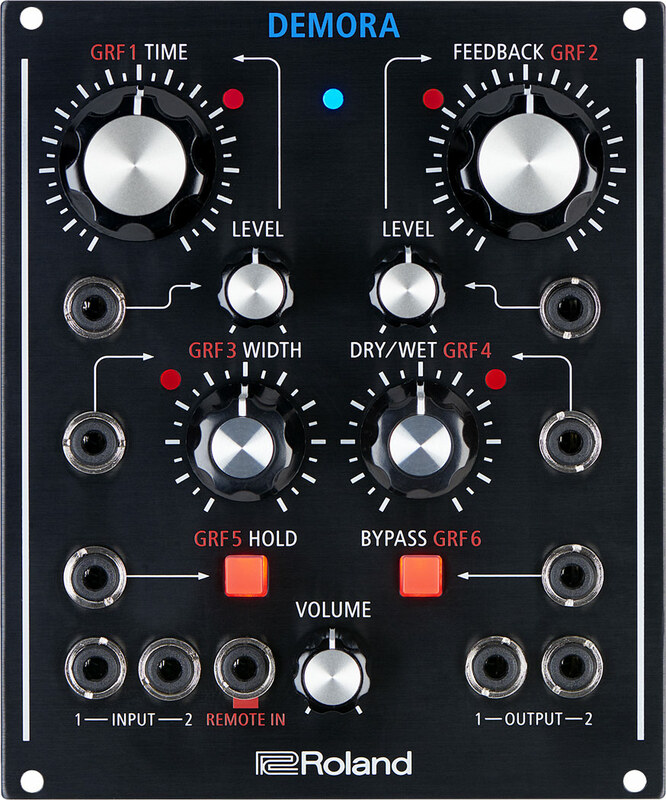 Oh, and it’s a module that also has audio and MIDI interface built in, so it’s friendly to newcomers. Not content with that, you also get AIRA effects modules. They’re digital, but they have 24-bit knobs. You can use them as a tabletop effect, or 21 HP Eurorack module using either an AC adapter or power via your Eurorack. 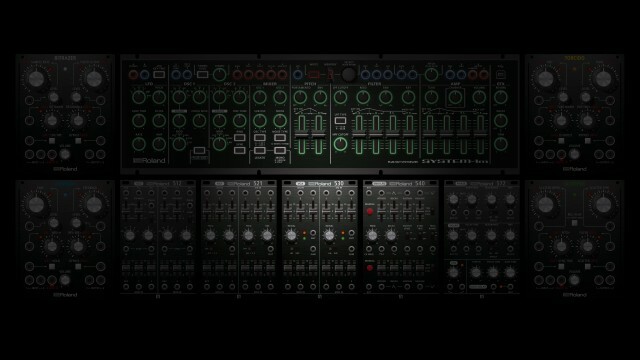 And they appear to be based on the same modeling technology in the rest of the AIRA line. Because they’re digital, they can also receive software updates, though it’s not clear yet how Roland intend to use that. You can also re-program them via desktop (OS X or Windows), or mobile (iOS or Android) application – need to find out what that means, too. Another surprise: they’re “carefully crafted in Japan.” I’m assuming that’s just where the housing is added, but given how much manufacturing has been off-shored by the big players, that’s still a step back to where we came from. BITRAZER is a “bit and sample rate destruction” – a decimator effect. DEMORA is a high-resolution delay, boasting a time range of 20 microseconds to 10 seconds, with delay time, feedback and width. SCOOPER is a “scatter” effect in a modular. Now, unlike that delay, this is maybe the one I’m least interested in, personally, just because I found some of Roland’s “scattering” on AIRA to be a bit unconvincing. But part of the problem was the absence of controls. Maybe they’ve made this something other than an instant-EDM effect; I’ll keep an open mind. Sound – yes, we need to hear how it sounds. To anyone who claimed Roland would never go analog, you’re wrong. The update about which we have the least information is also the most interesting. Roland is doing a new Eurorack analog system based on their previous models, and it uses analog circuitry rather than the digital modeling business. Any betting readers out there, if you had the foresight to bet against KORG and on Roland doing the first modular, you just hit the jackpot. I hope you’re buying dinner for us in Frankfurt. We’ll try to reach the Roland folks. And I have something special in mind for a review. Stay tuned to CDM.